The Library of Congress Control Number, or LCCN, is an often overlooked detail in independent publishing. This blog post will explain what it is, how to use it, and why you need one (or don’t). In other words, having an LCCN assigned to a book makes it much easier for libraries to acquire it. If selling to libraries is a major part of your marketing plan, it might be worthwhile to obtain this cataloging number. Only U.S. publishers who publish titles that are likely to be widely acquired by U.S. libraries are eligible to participate in the CIP program. Every publisher/imprint must have already published a minimum of three titles by three different authors. All three titles must have been widely acquired by U.S. libraries. Since most self-publishers and small presses do not meet these requirements (at least with their first book), there is a second option available: the PCN, or Preassigned Control Number program. Just like the LCCN has a CIP (cataloging in publication), the PCN has what’s called P-CIP. This is simply the cataloging data for the PCN. As the application for a PCN is a lengthy process, you might be wondering if it’s worth all the work and wait. Think about your book marketing plan and target audience. Are libraries a major part of your ideal purchasers? If the answer is yes, then it’s worth your while to obtain a PCN or LCCN. However, if the library market is not part of your marketing plan, then perhaps you can ignore the entire PCN process. If most of your book sales will be direct-to-reader via online retailers like Amazon, then you don’t really need to go through this extra process. Also, keep in mind that just because your book does have a PCN, this does not mean that libraries will automatically accept your book. With such a large amount of published books, libraries unfortunately cannot accept every single book. But, you never know until you try! If you’re curious to learn more about the PCN and the data block for your copyright page, visit Joel Friedlander’s post. He offers valuable advice, a breakdown of the various parts of the data block, and also resources and vendors that prepare P-CIP data blocks for small presses and self-publishers. Another great article about the LCCN and PCN can be found at IndiesUnlimited.com. Are you writing a book? Let us guide you through the self-publishing process. 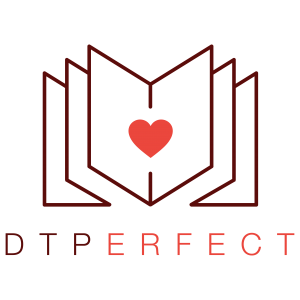 https://i1.wp.com/dtperfect.com/wp-content/uploads/2018/02/books.jpg?fit=1030%2C687&ssl=1 687 1030 Elena Reznikova http://dtperfect.com/wp-content/uploads/2017/12/DTPerfect-01-300x300.png Elena Reznikova2018-02-08 16:16:462018-05-26 22:18:26Library of Congress Control Numbers: Do Self-Publishers Need Them? With so many websites and so many (but not enough) stock images, there is a very high probability that your stock image has been used before. This is not a big deal if you are using an image for a blog or social media, but if you are choosing an image for a book cover, you might want to check if (and how) it’s been used before. Click the little camera icon. Insert the URL or upload the image. Google will show a list of blogs and websites that have used this image. The match is not always perfect, but it gives you a good general idea of where this image has appeared before. https://i1.wp.com/dtperfect.com/wp-content/uploads/2017/12/edho-pratama-152392-unsplash.jpg?fit=4522%2C3015&ssl=1 3015 4522 Elena Reznikova http://dtperfect.com/wp-content/uploads/2017/12/DTPerfect-01-300x300.png Elena Reznikova2017-12-12 08:14:202018-03-26 00:04:44How to See Where Your Stock Images Have Been Used Before: Google "Search by Image"